I always love to hear from anyone who's reading along with the blog, so if you have a question, comment, tip, or product that you want to share, feel free to email me. 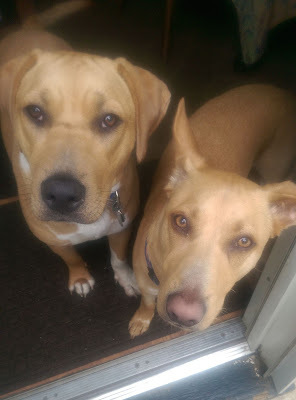 I'm also trying to get involved in the whole social media thing, so you can follow me on Twitter, where I babble occasionally about makeup, the Mets and Islanders, and my adorable dogs, Charlie and Brandy. How can I resist tweeting about them? Sometimes, I pin things on Pinterest too - like products I love, recipes I'm dying to try, and albums I think everyone should listen to. And, I've even joined Instagram - where my username is jl_blair - because I really don't take enough photos and I'm trying to get in the habit. I'll be honest - my most likely subjects are my dogs and makeup products that I've just bought, so if that floats your boat, go ahead and follow. I've also started a Facebook page for the blog where you'll find information about sales, new products, and other makeup-related goodness.